The interiors see an amalgamation of various styles with an overall Modern-Indian aesthetic. There’s something alluring about the exclusivity that plays into our (more worldly) sensibilities. The thrill of initiation, of being on the ‘inside’, is something that people have been buying into since as far back as the 18th century. While the idea may be seemingly antiquated, private clubs are thriving even today – popular with baby boomers and millennials alike. Part of their appeal also lies in the fact that they’re a one-stop destination for work, leisure and entertainment. Design Pataki rounds up the hottest private clubs in Mumbai and Delhi. One of the most fashionable haunts of the artistic elite, Soho House makes its way East with its first ever property in Mumbai. The iconic members-only club sits within a 10 storey building in Juhu, with 38 rooms, a gym, a rooftop pool, a screening room, and two restaurants on the ground floor which will also be open to the public. The primary identifier of this club however, is its thriving community of members. Soho House caters not to the corporate but to the creative – a philosophy which translates into the interiors of the space as well. What the club lacks in boardrooms it makes up for in its thoroughly cozy atmosphere (with no compromise on style). From block-printed Rajasthani fabrics to Art Deco-style tiled floors, vintage mirrors to eco-friendly sisal carpets, the interiors see a delightful amalgamation of various styles with an overall Modern-Indian aesthetic. “Every house we open is localized and designed to the city, particularly the neighborhood that it’s in. 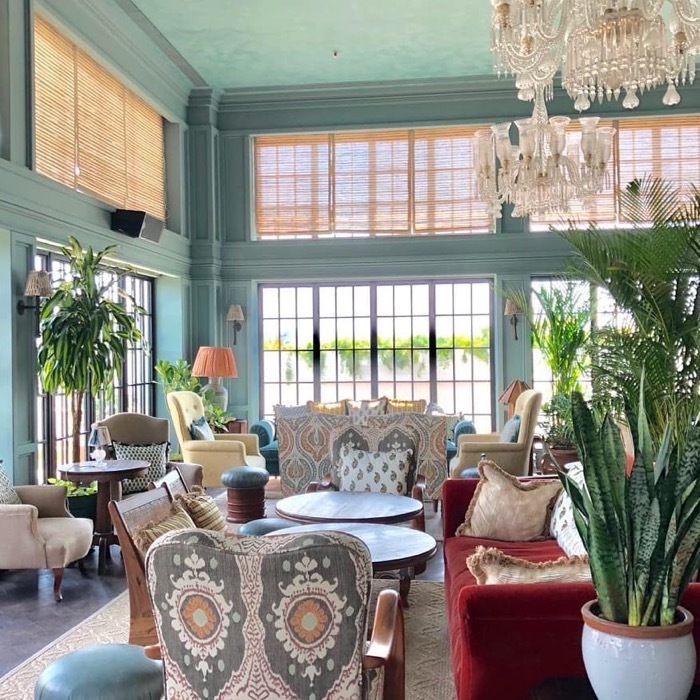 Everything from the furniture to the food and drinks and the events is tailored to the local community.” says Nick Jones, CEO of Soho House to Mint. The Spanish Steps at The A. A work and leisure club for Mumbai’s young business leaders, The A is refreshingly modern and luxurious. By offering a variety of services and spaces sprawled over 40,000 sqft, they’ve created an all-inclusive destination for the busy, urban millennial. On one hand, the club features an informal business lounge, work studios, meeting rooms and private pods. On the other, a chic coffee bar, a new-age fitness studio, a restaurant with a highly-curated global menu and (hidden from plain sight) a Prohibition-inspired speakeasy bar. The A’s main highlight is DICE – a futuristic escape pod with virtual reality environments, a comprehensive e-library and multi-touch interactive tables that allow for 3D rendering of work content. Custom artwork hangs from the walls at The Indus Club. Housed within the busy complex of glass structures at BKC, The Indus Club provides a much needed respite for the industrious jet setter. 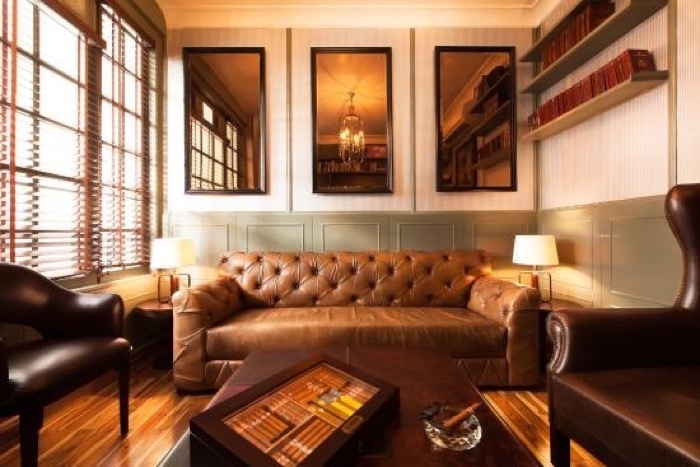 This private members club marries the elegance of a classic gentlemen’s club to an aesthetic of sophisticated modernity. 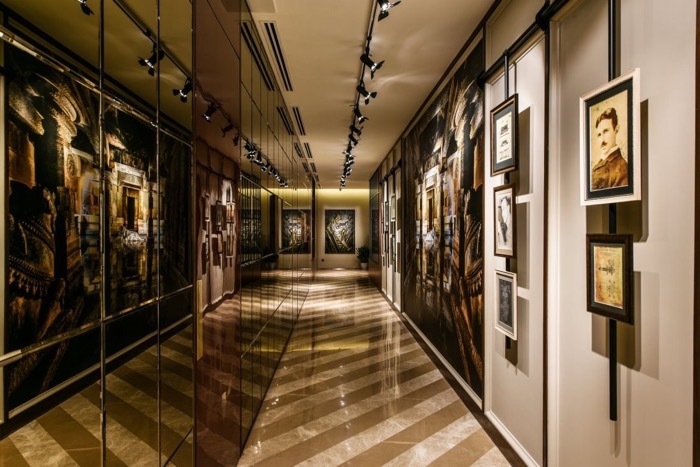 Designed by Zubin Master of Design Matrix, the 20,000sqft space boasts of a meticulously curated selection of artwork, furniture, lighting, and accents – a lot of which has been custom made. The layout of the club features various set zones – work spaces, dining room, bars, meeting rooms, gym, etc. making it easy to navigate. What gives The Indus Club a competitive advantage is the ultramodern technology built into it. Right from biometric recognition imprints to one-touch automation systems, the technological integrations are cutting-edge. Bringing the outdoors indoor, the club features a golf simulator, Full Swing, which is also used by professionals like Tiger Woods and Jason Day. Themed rooms like the Lindbergh’s Cockpit (inspired by aviation) and the Martin Scorsese Room (inspired by the celebrated filmmaker) add elements of fun with no compromise on taste. The Alley – a gallery curated by the Kiran Nadar Museum of Art. 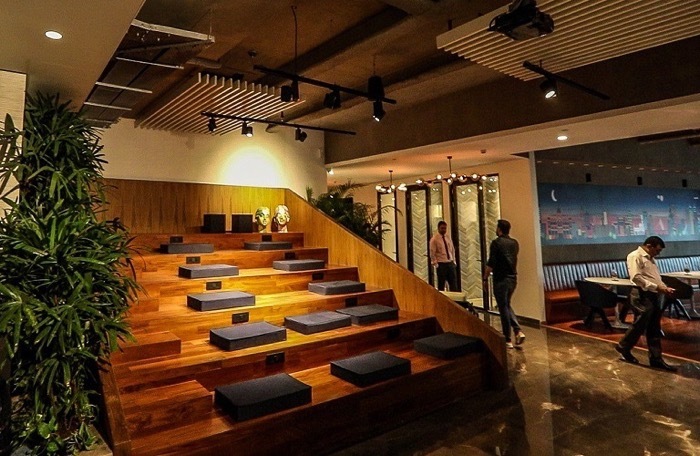 Hailed as a “home away from home and workplace away from work”, The Quorum is a highly transformative, members-only lifestyle club in Gurgaon. Ambrish Arora’s Studio Lotus designed the club in a manner that seamlessly bridges the private and community spaces. An industrial design style runs across the ceilings and a wood-panelled library camouflages the entrance to a hidden prohibition-era styled den. However, the most compelling part of the club is The Alley – a gallery curated by the Kiran Nadar Museum of Art. To sum up, The Quorum is an urban refuge where people can conduct business, combined with elements of art, culture and music. “We are by definition a very collaborative space. We have surrounded ourselves with some very smart people… Dynamism comes from diversity and that’s our No. 1 goal.”, says the club’s founder Vivek Narain to Mint. The library brings together the nostalgia of a cosy, leather-filled drawing room with the conveniences of technology. This quaint, Parisian-styled club holds all the comforts, luxuries and services of one’s own home. Tucked away in a quiet, wooded corner of Central Delhi, A Ta Maison has an old-world charm and a subtle sense of opulence to it. The spaces at the club include a teak wood bar, a formal dining room, a casual dining bistro, a sunroom, a terrace, a library and a dressing chamber. The library brings together the nostalgia of a cosy, leather-filled drawing room with the conveniences of technology, while the sunroom is an eclectic, homey wood-and-glass room that seamlessly transitions from summer to winter. The formal dining room is an ode to Versailles, echoing the splendour of the great palace – and at the other spectrum of French design, the salon takes inspiration from the classic French countryside.